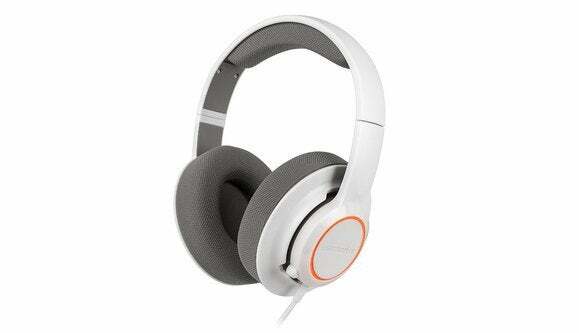 SteelSeries has been a major contender in the headset market for years, thanks to its Siberia V2 headset. The DNA of the V2 still exists in the company's slightly higher-end V3 model (look for a review from us soon) but this time around SteelSeries decided it could go for the even more budget-minded consumer with the new RAW Prism—a real bargain of a headset at $60. And if that price makes you wonder what's the catch? Well, it's actually "catches," plural. The adage "You get what you pay for" isn't always true in the gaming headset market. 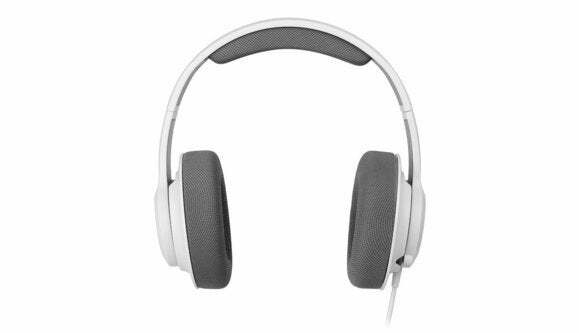 There are definitely some low-quality headsets masquerading behind an absurdly high price tag and vice versa. That being said, the RAW Prism is most definitely a $60 headset. Looking at the design from afar, you can't really tell. It's sleek, and the single band of adjustable-LED lighting on each ear makes the RAW Prism fit in with its older (and more expensive) siblings. It's not a work of art, but it looks designed. Truth be told, I probably like SteelSeries headsets the best because they universally look like something I could wear in public, in the office, or around non-gaming friends without immediately calling attention to the fact that these are first-and-foremost gaming devices. The RAW Prism's fancy looks are all a show, though. This is the headset equivalent of a pleather jacket: Sure, you'll look the same if you wear it on your motorcycle, but when you finally test it out and the jacket hits the pavement it's going to shred apart into a million tiny pieces and you're going to feel sad you cheaped out. As you might expect from the price, the RAW Prism is not the most solid-feeling device in the world. It's constructed from white plastic, and when held in your hands it just feels unremarkable. The cord is a stiff white rubber, terminating in a USB connection that powers the LEDs and delivers audio. The cord is also pretty short for a USB device (five feet), which might be tolerable on a laptop but could be a pretty huge hassle depending on your desktop setup. Wearing the headset, you're immediately conscious of two things: 1) This thing is seriously lightweight, which is great for marathon gaming sessions, and 2) the earpieces on this thing are really cheap. If you want to know the cheapest thing about this cheap headset, it is the earpiece coverings. Both are covered in some sort of mesh fabric that, while breathable, feel like a basketball jersey rubbing against your face. I don't like it. Next we come to the sound itself. If there's one thing I want to commend the RAW Prism on, it's that these things get loud. Deafeningly loud. It's also nice of SteelSeries to include the SteelSeries Engine 3 software with the RAW Prism, albeit in limited form. You can only tweak a few settings, but hey—customization is customization. And to be fair, the RAW Prism is a decent-sounding headset if it's absolutely the only thing you can afford. It will get the job done. Due to the thin ear cups, the most succinct way to describe the RAW Prism's sound is "flat." There's not a lot of space, not a lot of room for the various sounds to breathe or give you much sense of directionality. It's all just pushed into your ear, functionally and unceremoniously. The other thing you'll notice, though this should come as no surprise, is that it lacks a lot of the bass end. Explosions are missing their oomf, and again this contributes to the headset's slightly "flat" feeling. This is less of a detractor for games, though definitely noticeable. Music? Don't even bother. You're better off listening on any $20 pair of ear buds. Much more worrisome than the sound, though, is the RAW Prism's microphone. While this has never been SteelSeries' strong suite compared to some other brands, the RAW Prism eschews the retractable/boom microphone for an omnidirectional nub on the left earpiece. The nub is a nightmare. It's not nearly fine-tuned or sensitive enough (even when adjusted through SteelSeries Engine), and I'm not going to yell in my apartment. That's why I use a headset to begin with. At best it sounded like I was talking from far away in an echo-prone room, and all sorts of other noises (my typing, my breathing, my chair, my computer fans, cars driving outside, disturbing thumps from my upstairs neighbors, et cetera) were also picked up and reproduced. This thing will drive your teammates nuts. On top of that, there's no LED in your line of sight indicating whether you've muted the microphone. Props to SteelSeries for building the mute control into the headset—you tap the outward face of the left earpiece to toggle—but without a visual indicator, the RAW Prism team was forced to include an audible notification. This takes the form of a horrific, ear-piercing beep/double beep, and it's hard to remember which corresponds to muted/unmuted. In fact, even after using the headset for a while I couldn't remember. That'll be fun in the middle of a firefight, I'm sure. Last but not least, there's no on-the-fly volume control. I commend SteelSeries for trying to bring the price of headsets down to a more reasonable level for entry-level gaming enthusiasts, but the RAW Prism just doesn't do it for me. The benefits—primarily the low cost—are outweighed by at-best-decent sound and an abysmal microphone. And is $60 really that cheap? We've reviewed multiple headsets that retail for $80 and are much better devices. 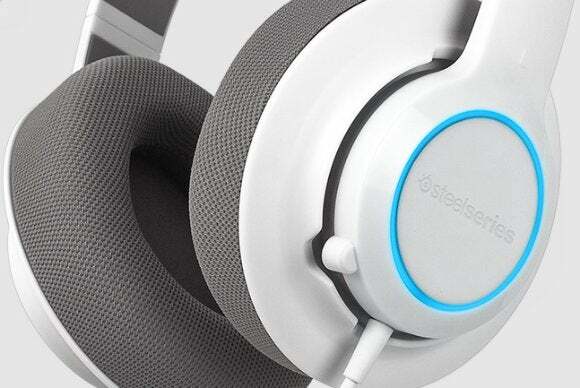 Even SteelSeries's own Siberia V3 isn't that much more expensive than the RAW Prism, and it's worlds better. I strongly urge you to save up the extra dollars and save your ears (and voice, and sanity) in the process.